The Spanish ironclad Numancia was an armored frigate bought from France during the 1860s. The name was derived from the Siege of Numantia, in which Roman expansion in the Iberian Peninsula was resisted. She was the first ironclad to circumnavigate the Earth. She saw service in the Chincha Islands War and Cantonal Revolution. Paper model details: 1:200 (45cm) 16 pages. 3D Diagrams of construction. 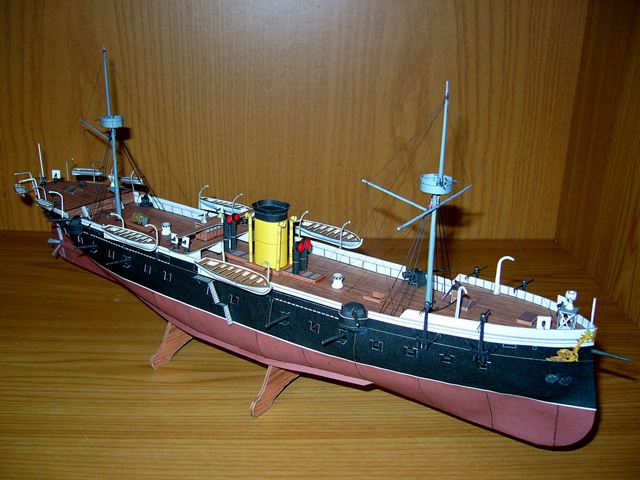 Full hull kit, highly-detailed model.